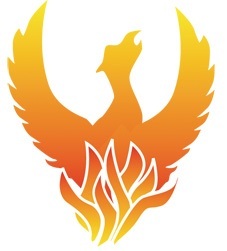 Phoenix BioConsulting, LLC was formed in January 2009 by Neal Connors, Ph.D., to Bridge the Scientific Expertise gap within small and mid-size companies. Neal Connors received his BS in Biology from Norwich University in 1984 and his Ph.D. in Microbiology from The Ohio State University in 1991. From 1991 to 2008, he was a member of the Bioprocess R&D department of Merck & Co., Inc. rising to the level of Senior Investigator. His industrial microbiology experience is diverse: bioprocess development for renewable chemicals, fermentation and strain improvement for the production of anti-bacterial and anti-fungal natural products (e.g. Cancidas®), heterologous protein production using microbial fermentation or mammalian cell culture, whole-cell biocatalysis for the production of chiral intermediates. He has worked at all experimental scales, from well-plate and shake flask to lab and pilot fermentor scales. He is a contributing author on numerous peer reviewed papers, book chapters, patents, and published abstracts. He is also a sought after seminar speaker at conferences and universities and currently lectures in the presitigous MIT Fermentation Technology summer course. Neal is a member of the Society for Industrial Microbiology and Biotechnology and served as President (2011-2012) and Director (2006-2009). He also serves on the editorial boards of two peer-reviewed journals: Journal of Industrial Microbiology and Biotechnology (Springer) and Enzyme and Microbial technology (Elsevier).